Bingo is one of the most popular online casino games in the world, and is starting to reach the same levels as blackjack or poker. It’s an extremely simple game to learn and play, and it’s this simplicity that’s been attracting a growing fan-base in recent years. Bingo has been around for the better part of hundred years, and in that time the fundamental rules have remained unchanged. More types of bingo are entering the scene to accommodate those that don’t always have the time to sit and play a game. For those looking to start playing bingo, these are the most common types available online, and apply to different kinds of bingo around the world, from the games found in Las Vegas to bingo Canada. 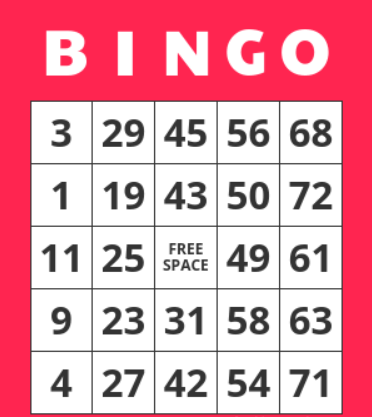 Consisting of a 5×5 grid which has numbers surrounding a free centre square, most online bingo games will reward the player for claiming a bingo on 1 line, 2 line, 3 line, 4, and 5 lines. It’s a popular version of the game that is also one of the more common, but is neither as fast as speed bingo or as drawn-out as 90 ball bingo. This is much the same as 75 ball bingo, except the grid tends to be one size larger. It’s a type of bingo that is catching on as many feel it provides a comfortable middle ground. This is by far the most popular type of bingo on the market, and the one that players are most likely to find both online and at the local bingo hall. Playing cards are made up of 3 rows and 9 columns, with each row consisting of 5 numbers in total. There are generally 3 prizes that can be won during 90 ball bingo: 1 line prize, 2 line prize, and the full house prize. The player that is able to get all the numbers called out on their card wins the full house prize, which is usually an amount set by the amount that is added to the prize pool. 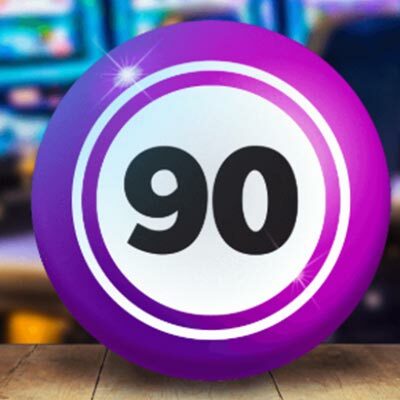 Also commonly known as speed ball bingo, this will soon overtake 90 ball bingo as the most played thanks to the pace at which a player is able to land a bingo. Most games only take a few minutes at a time, and they are generally aimed at those that don’t have a large amount of time to put into a game of bingo every day. It’s also extremely popular as a mobile app, and many offer players the chance to simply switch on an automatic mode, allowing the game to automatically mark off any of the right numbers and call a bingo without the input of the player. Cards for this game tend to relatively cheap as compared to the other types, but it also means that prizes are smaller, which is compensated with the frequency in which the numbers are called out and how many games are completed in a single session.